I was able to model, texture, light, and animate this scene in an afternoon with only one image found on google as reference. The geometry was quick and low res. 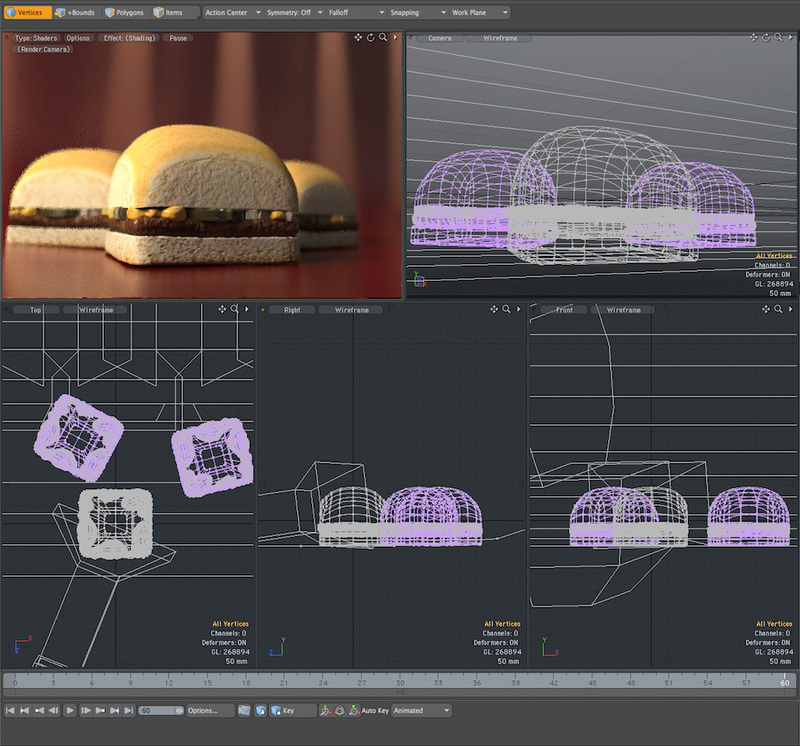 Unwrapping the UV's on the burger model took a few minutes. At which point I used the UV's created to generate texture maps, rubber-stamped from the reference google-image in photoshop. Couple of lights, some DOF, few minutes in the shader tree, and it was done. It's always about the artist, but having good tools always makes it that much easier.